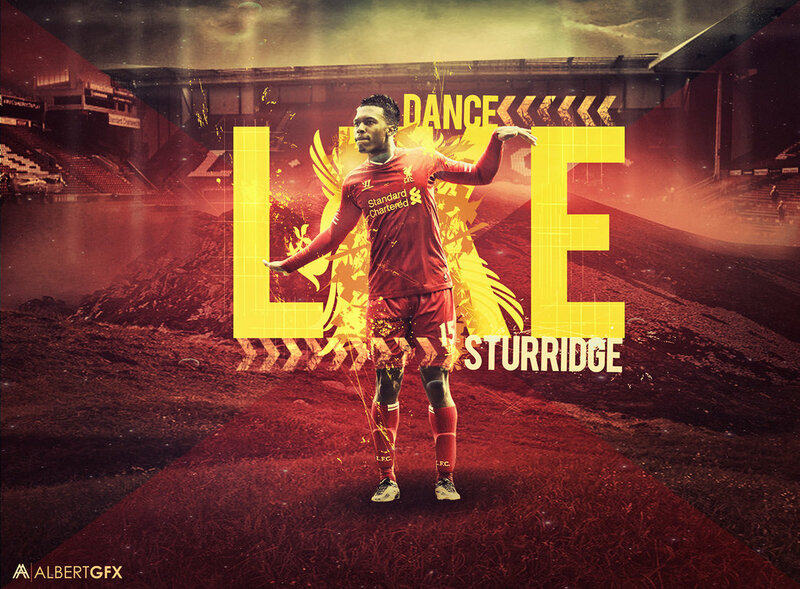 A quick vid this time, Daniel Sturridge being interviewed by BTSport about his terrific goal celebration. You know the one, arms extended out to both sides, body oozing hipster cool from absolutely everywhere , and the arms somehow moving up and down while also moving horizontally. 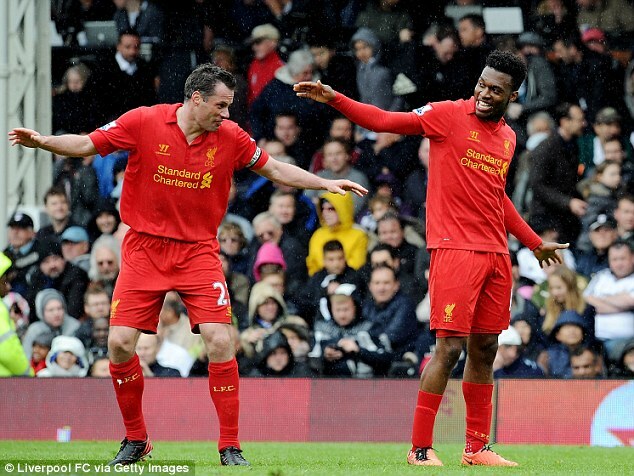 Surely Carragher would love to dance like this just once. Admittedly, I would. The interviewer admits she loves the move, and establishes that it has taken some work to perfect it. Then she hits him with footage equivalent of a hard slide tackle worthy of a yellow card. Cue Sturridge playing for the Manchester City Under 15 Squad, finding the back of the net and then celebrating using the similar move without the modern cool and smooth. Daniel tries to blame a dance movie for his ineptitude and that he was emulating the dancing in the movie. Nice try Daniel, I’m calling BS. 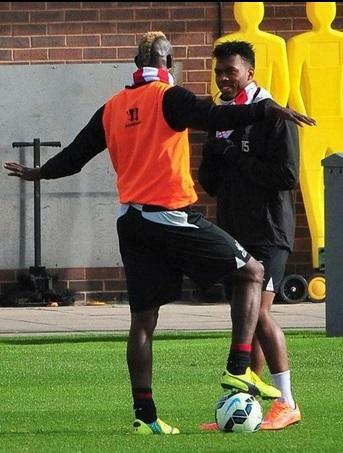 Balotelli even got in on the dance last week during training. He posted this picture to his Instagram. Would be great to see these two up top soon pounding in goals together and doing this dance. Fellow Indy Red Jim Dimitri can reportedly do the Sturridge dance very well, but I’m not saying which of the two he can do. The current version, or the Man City version. You’ll have to ask him while at Union Jack or in Lot B before an Indy Eleven Match. Thanks for that fun entry, that is sure to put a smile on everyone’s face today. Slowly but surely we are getting folks back from the injury bug. Sturridge, Can, Allen all should be back. Sakho still is a maybe. Lovren could be out for a couple weeks also. Lazar is up in the air, reports said he was injured on International Duty but then he was scheduled to play yesterday before the match was suspended. Big news of the week was once again LFC v Hodgson. Doesn’t seem like this is going to end anytime soon. How he is still the England National Team coach I do not know, he has done a terrible job with the team. Rodgers and his team have a much different and more modern training strategy for the players and well Hodgson who knows what his philosophy is. Frustrating to see. LFC is getting ready to embark on a packed 21 days. 7 matches in 21 days. 2 of those are v Real Madrid. The coaches believe everyone will be ready. We’ll be back soon with a Fan Focus. Look forward to seeing everyone at UJ’s Sunday. 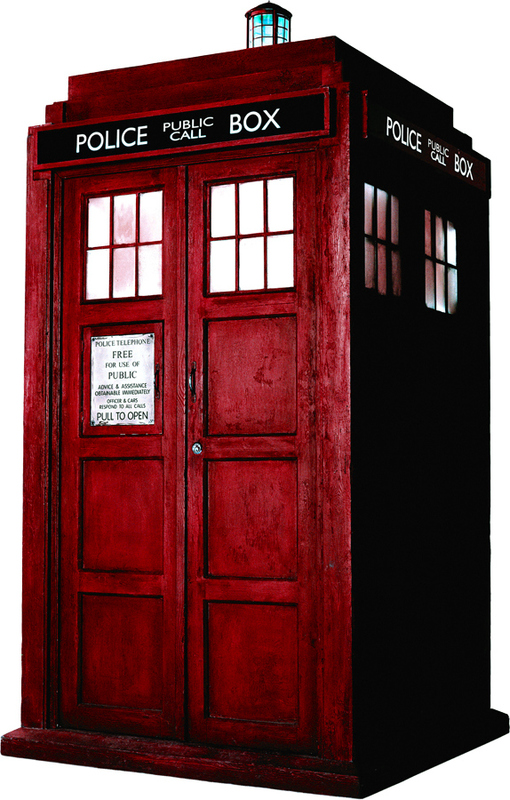 This entry was posted in Red Tardis, Uncategorized and tagged Indianapolis, Indy, Indy Eleven, Indy Reds, LFC, Liverpool, Red, Tardis, YNWA on October 15, 2014 by LFCIndy.